Today I am back with a Hero Arts card using the Color Layering Armadillo set and the Bandanna bold prints. 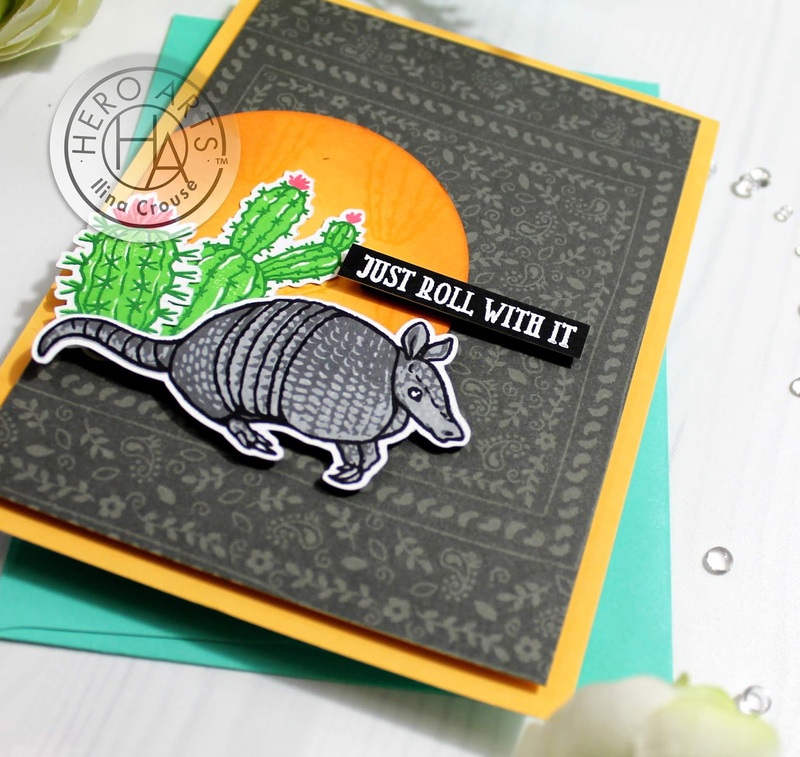 I stamped the Armadillo using Soft Granite, Charcoal and Intense black ink and die cut it. For the cacti I used Fresh Lawn, Pine, Pale Tomato and Strawberry. I stamped the Bandana Bold Prints on Charcoal Layering paper using Charcoal ink, trimmed to 4" x 5 1/4". I die cut a circle from Sunshine layering papers and sponged the edges with Just Rust ink. Stamped the sentiment onto black paper and embossed with white. 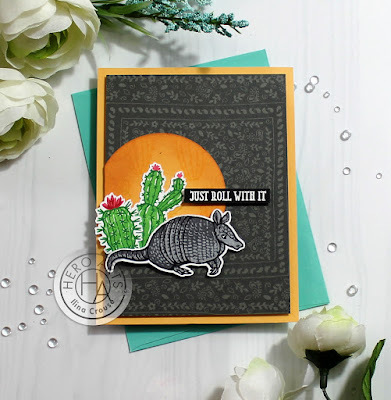 Then assembled the card onto Sunshine note card. 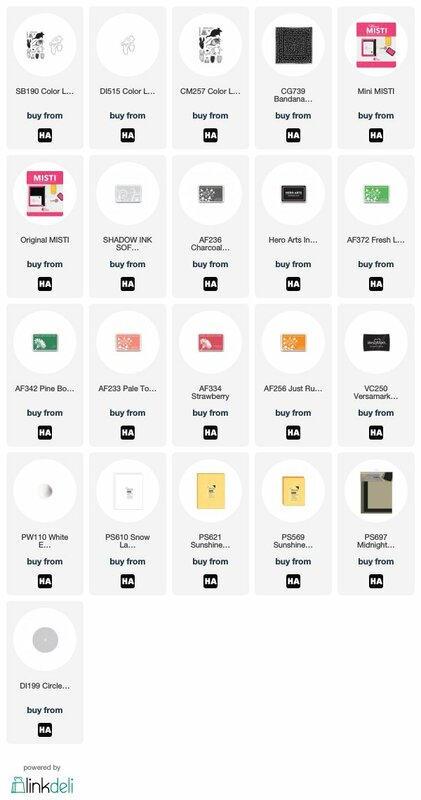 Scroll down for list of supplies!